If you’re a Bostonian who likes to eat out, you’ve probably heard of Ana Sortun. At age 19, this Seattle-born chef left the Pacific Northwest for Paris, where she earned her Grand Diplôme from the fabled La Varenne Ecole de Cuisine. Upon returning to the States in the early 90s, she began laying deep culinary roots in Massachusetts, and diners and critics alike took notice. Today, with three restaurants, two cookbooks (the second drops this fall), and a prestigious James Beard award from a 2005 Best Chef / Northeast win, the talented Sortun plays a pivotal role in the Boston-area food scene. Ana Sortun brings the Eastern Mediterranean to life through her food. One night in the mid-90s, everything changed. After several more visits, she fully committed herself to narrowing her focus, drilling down more intently on Turkish food. It became a goal and a mission – even, she says, a course of study. That first trip brought her to Gaziantep in Southeastern Anatolia, where, she says, everyone had sheep or goats and made their own yogurt at home. It’s no surprise that all of these travels made an impression on the chef, and that these influences show up on her restaurant menus. That yogurt with grano? Find it at Sofra, the healthy, quick-service bakery and café she co-owns in Cambridge. There, it’s served parfait-style: She poaches seasonal fruit (think strawberries, raspberries, pumpkin, rhubarb) and tosses the grano with the poaching syrup, then layers the fruit and grano with pristine yogurt she sources from Rhode Island-based Narraganset Creamery or directly from Greece via one of her suppliers. During a visit to Sofra last May, I purchased a yogurt parfait with grano + spoon sweets. Both Oleana and Sofra also offer a beet tzatziki, a vibrantly colored mix of shredded beet, yogurt, lemon, garlic, dill, and olive oil. Finally, at Sarma in Somerville, yogurt and sugar marry in a simple frozen yogurt that’s one of the restaurant’s signature desserts. The base is poured into a softserve machine and then served with a rotating army of deeply-flavored toppings. Current toppings on offer include mocha trifle, fig bisteeya, halva caramel, katayif chocolate covered banana, strawberry rhubarb creamsicle, black lime pavlova, fluffernutter, coconut muhalabiyah. Go with a group so you can try them all, but do not – this is important – skip the halva caramel. A housemade halva is whisked into a buttery caramel and produces a sauce that perfectly complements the yogurt’s clean acidity and tang. It’s a combination I enjoyed on a visit to Sarma last September, one so memorable I thought of it again and again. Sortun was quick to credit the sesame (halva) caramel to her Sofra co-owner and Executive Pastry Chef Maura Kilpatrick, who also co-authored the pair’s forthcoming cookbook, Soframiz: Vibrant Middle Eastern Recipes from Sofra Café and Bakery (Ten Speed Press, October 2016). The book is currently available for pre-order. And note that Spice: Flavors of the Eastern Mediterranean, Sortun's 2006 cookbook, is worth your while as well. While I urge you to order both books, those who can’t wait for the release of Soframiz will be pleased to know that Kilpatrick and Sortun have generously agreed to share their sesame caramel sauce recipe here. Try it over plain yogurt (fresh or frozen) and prepare to be wowed. I ask Sortun what she wishes more people understood about yogurt as an ingredient, and she pauses, considering. 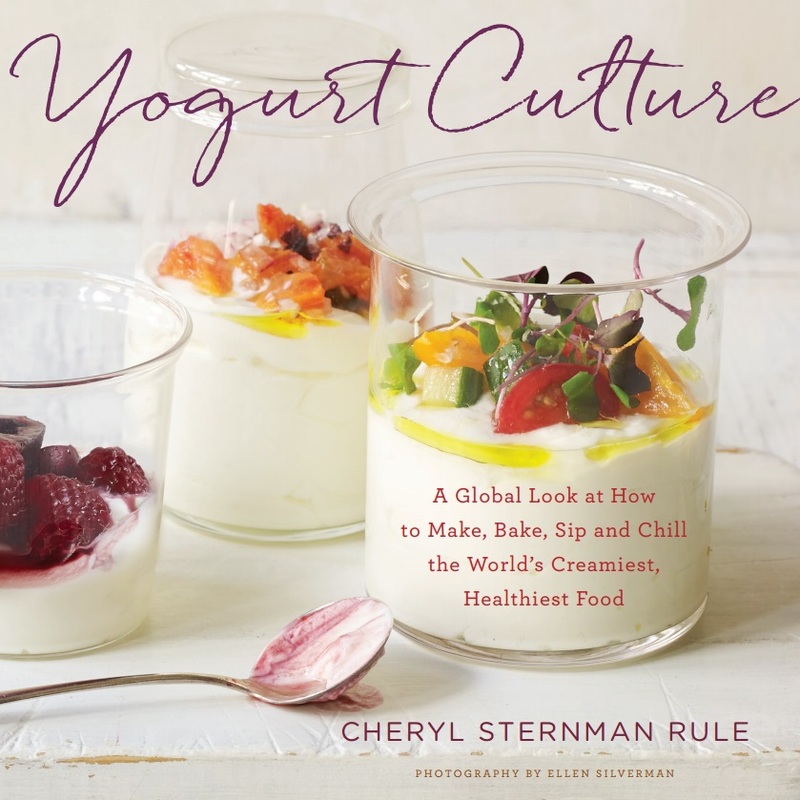 “Yogurt can take a lot of different spices,” she says. Note: Sortun co-owns all three of her restaurants with Gary Griffin. The pair shares ownership of Sofra with Executive Pastry Chef Maura Kilpatrick and co-owns Sarma with Executive Chef Cassie Piuma and Piuma's husband, Matt.